Players and umpires have their flaws, even while participating in historic moments like the Mets first ever no-hitter. This past Friday, the New York Mets threw their first organizational no-hitter on the arm of Johan Santana. It was not the prettiest or most efficient of no-hitters—he walked five batters and a ball that was hit fair by Carlos Beltran of the Cardinals, the opposing team, was called foul, causing even some of the most die-hard Mets fans to feel conflicted about the historic milestone. But what fans often forget is that baseball is never perfect. 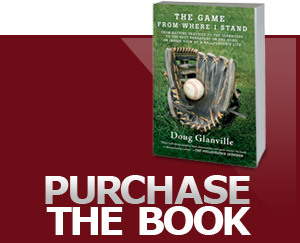 The shutout game, hitting for the cycle, the streak, the no-hitter—these moments are considered baseball divinity. Witnessing them puts you right in the thick of history. It makes the game special, but it does not make it perfect. Take Santana’s pitching. He wound up throwing 134 pitches and a whopping 57 of them were balls out of the strike zone. His lack of accuracy could have gotten many pitchers taken out in the 3rd inning let alone hanging around to complete a no-hitter. He bent but did not break, keeping everyone guessing until the end. In the eighth inning, his manager Terry Collins came out to talk things over with him, clearly concerned whether his pitch count was too high to safely have him finish this game. Collins rightfully had to think about having Santana for September, not for just this day, no matter how magical. And just like players, the umpires do not embody the perfection we expect for such divine moments. They too have their flaws, as we found when in the 6th inning, third base umpire Adrian Johnson ruled a ball foul off of Beltran’s line drive that had kicked up chalk—making it technically fair. Does this mean baseball should usher in an era of instant replay, as has been suggested by new school advocates? Baseball’s great milestones are riddled with imperfections, and what makes these moments worthy of timelessness is that they had all of the human elements at play and yet still happen. As legend Cal Ripkin Jr. emphasized, instant reply can work as long as it doesn’t interrupt the flow. And it may have “worked” in this case, but it would not have worked the magic that captured an entire organization’s history and fan base in one swoop. It is better to be inspiring than perfect.